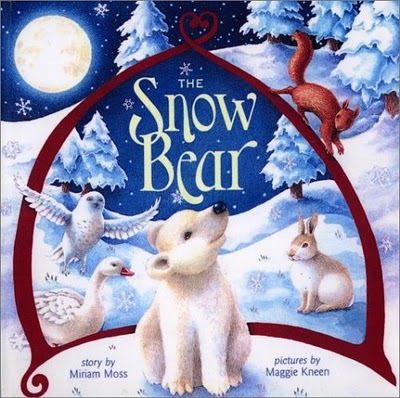 The one book that we missed before Christmas was The Snow Bear by Miriam Moss which was suppose to be on Saturday, December 17th. If we had to miss one this one was a good one as it is not specifically a Christmas book but more a winter book. 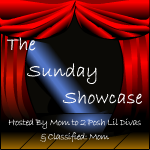 This is the story of a little bear who can not find his mommy. He decides to make a Mommy Bear out of snow while he waits for his real mommy. As he is building other young animals in the forest come out to help him build his snow bear. A cute tale of compassion that would have worked nicely with my class in November (will keep it in mind for next year). My initial plan was to build snowmen as an activity for this book but it has been a very warm winter so far. We actually just got our first good snowfall today (and it wasn’t even that much snow). 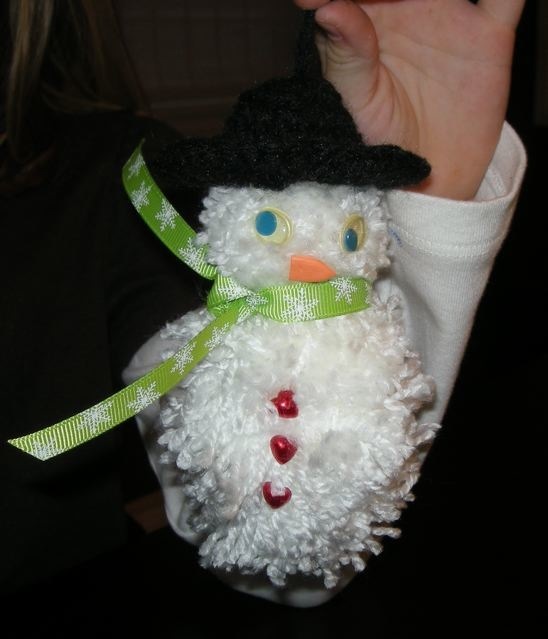 I have been looking for a good craft to do with the girls and then came across pom pom snowmen on Mom on Timeout. My mom was over yesterday so I thought it would be a good time to tackle this craft, as it required one on one attention with the girls. We started by making our pom poms. The key was to not have the girls cut off circulation in their fingers. Since we were using little fingers we made 2, 3, and 4 finger pom poms. Then I trimmed them down to make them increasing in sizes. We left enough wool to tie the three balls together. I do not crochet so my mom made each of them a cute little hat. We used goggly eyes for the eyes, foam for the nose and jewels from our craft box for the buttons. I pulled out my Christmas ribbon and they each made a scarf. I made sure to hot glue on the hats so they will stay on for when we put them on the tree next year (ours came down today). I think they turned out pretty cute. 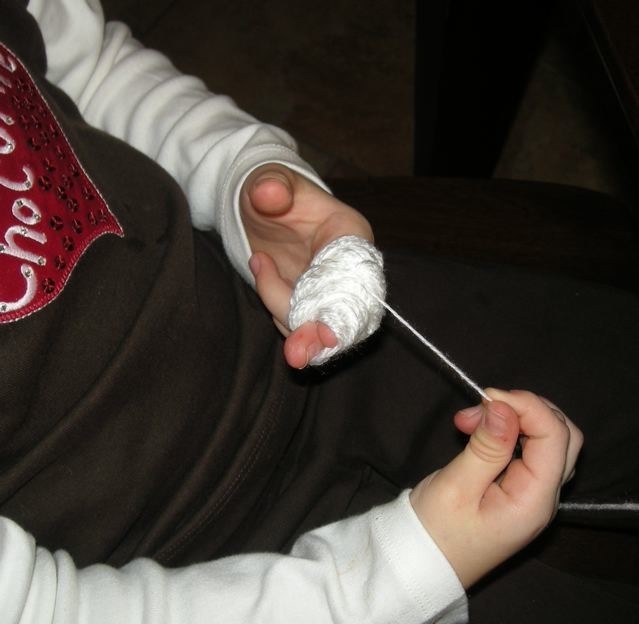 This was not a difficult craft to do but does need one on one attention if children are making their own pom poms.